Access, align, and act on your SugarCRM data direct from your Wisenet portal. 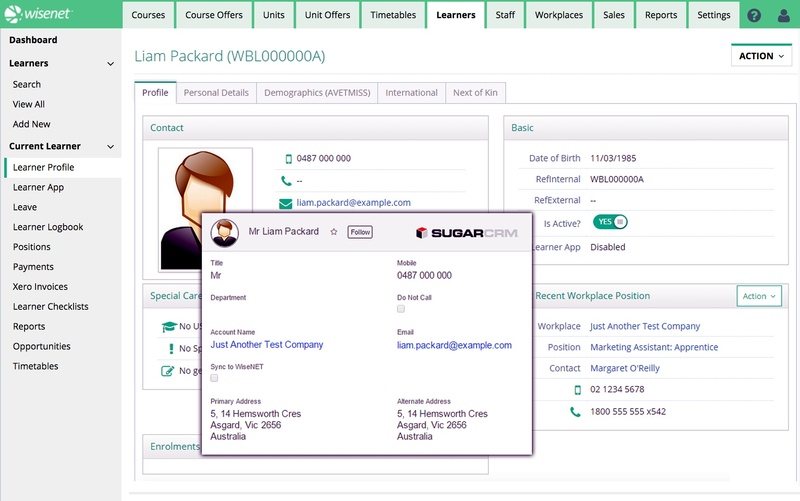 The Wisenet-SugarCRM integration allows for full integration between your Learning Relationship Management System (LRM) and Customer Relationship Management (CRM). This integration can be hosted by Wisenet, Alternatively, if you already have a SugarCRM account, integration can be established through our connector. CRM is the key to building long-term relationships with your customers, because it requires and cultivates a customer-centric business philosophy to support marketing, sales, and service processes. This involves ensuring that your customers are receiving the appropriate experience at every stage of their customer lifecycle.